← Wine for Celebrating Spring. Cheers! Pests Springing to Life? Make Them Bug Off! Just as the earth awakens around these parts, so do the pests that proliferate through the warm months. Yes, they are an annoyance and them some! Pest control isn’t just a modern-day convenience that can be neglected. Pests pose numerous health threats and can cause damaging effects, especially to senior citizens, children and people with health issues. While those three groups are the most at risk, healthy people can fall victim to pest-induced sickness, too. Fortunately, there are ways people can protect themselves. Houseflies can be found throughout Canada, but just because they are common doesn’t mean they are harmless. These pests could be bringing sickness to your summer picnics. Houseflies, it is believed, carry and transmit up to 65 different diseases. These diseases include cholera, typhoid fever, anthrax and leprosy, which are carried from the corpses, feces, peoples’ wounds and other unsanitary places they like to visit. * You want to keep your distance from these pests. 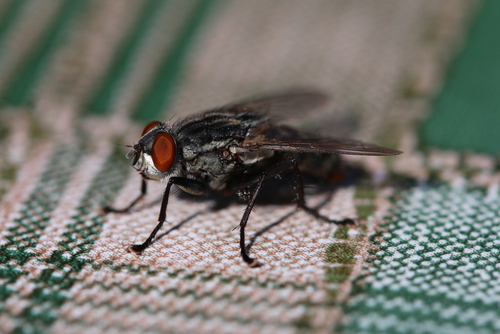 According to Penn State University, there are four ways to keep flies at bay: sanitation, exclusion by keeping your windows and doors shut, non-chemical methods such as ultra-violet light traps and chemical control. Rodents, such as the Norway rat (Rattus norvegicus aka the common rat), are able to enter buildings through just about any opening. The general rule is if they can get their head into the opening, they can get their bodies in the space, too. Aside from being destructive (they’ll chew through anything), they transmit diseases directly and indirectly. Some people have allergic reactions to rodent droppings as well. While you can take a DIY approach to eliminating rodents, it is best to hire a professional to get rid of a rodent infestation. It is not only the most effective way to rid your premises of the pests, but is the safest and most cost-effective in the long run. There are different kinds of cockroaches here in Canada, including the American (the largest), the brown banded, the German (the most common) and the Oriental (aka water bugs). These critters spread over 30 different types of bacteria, some of which can be deadly. Their allergens are also a major trigger for asthmatic children. Unfortunately, roaches reproduce quickly and can overtake a place in a matter of weeks. German cockroaches can breed six generations a year. This can lead to a serious infestation — fast! While sanitation is always the best way to curb any infestation, there are numerous DIY methods that can be effective, as long as the infestation isn’t too bad. “Roach bombs” are a good way to treat a space that has a moderate infestation. Just make sure you use them correctly so that you don’t contaminate your home with chemicals that may be harmful to your family. You’ll find bed bugs lingering in bedding. As disgusting as bed bugs may sound, they do not transmit diseases. However, that doesn’t mean you want to share your bedroom with these parasites as they can cause severe allergic reactions and leave marks. It’s possible to bring them home with you from a vacation at a hotel. Look for signs of bed bugs in your mattress. They are small, so you will have to look closely. If found, you will need to act quickly to get the situation under control. Getting rid of bed bugs can be extremely difficult and require a professional pest control service. This entry was posted in Health and tagged bed bugs, flies, insects, spring, summer, wellness. Bookmark the permalink.